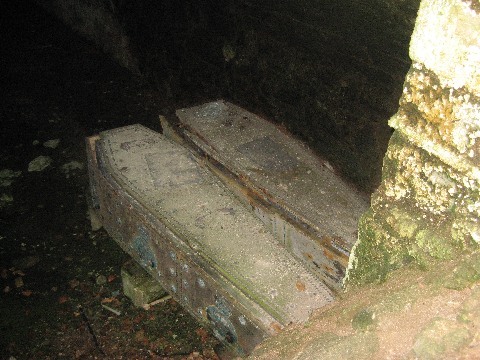 External view of the crypt. The exact date of the establishment of the Church at Polwarth cannot be stated by any certainty but there is some reason to believe that a church may have existed on this site from about the year 900 A.D. but possibly even from as far back as 600 A.D.
"This temple for the worship of God in the Church of Polwarth by the lords of the soil of the same designation originally, afterwards by the same name built and consecrated before the year 900, and endowed with the benefice of a rector, but in the course of time fell into ruin was repaired by Lord John Sinclair of Herdmanston, the son in law of Lord Patrick of Polwarth of the same place in the year 1378. 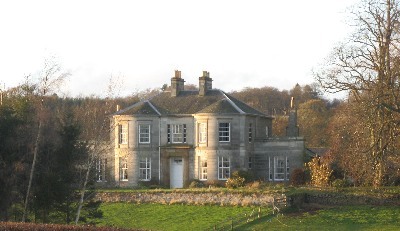 But at length verging on decay through age, and at the expense of the heir of both lines, Lord Patrick Hume, Earl of Marchmont &c., High Chancellor of Scotland and of Lady Grissell Kar, his wife and countess it was fresh built with the shrine in the form of a vault and augmented by the addition of a tower anno domini 1703". Whether or not founded in 900 or earlier it is recorded that it was consecrated by David Bernham, Bishop of St. Andrews and dedicated to St. Mungo or Kentigern on 7th. April 1242. The feast day of St. Mungo, 13th. January was for long one of the two fair days celebrated in the Parish. 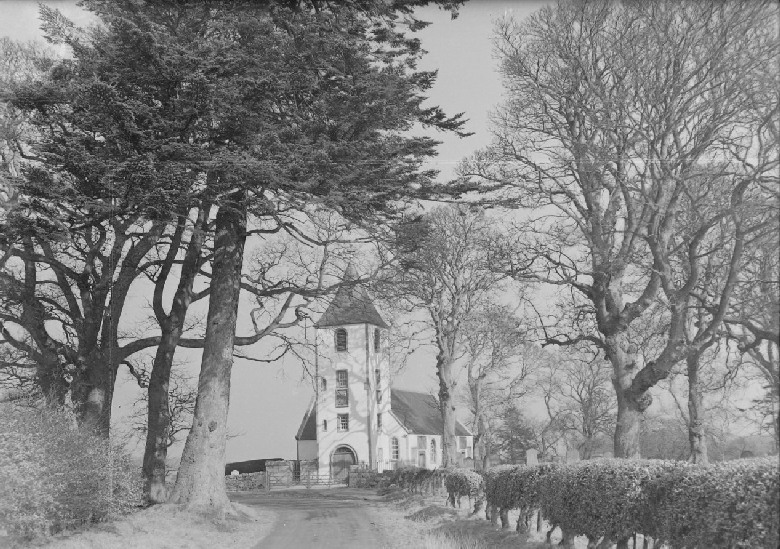 On his return to Scotland in the wake of the Glorious Revolution of 1688 Sir Patrick carried out considerable renovations to the Church and a tower was added in 1703. 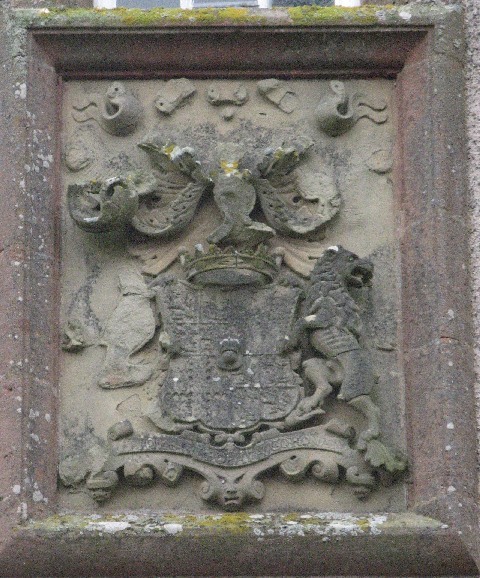 The coat of arms of Sir Patrick showing the crowned orange which King William afforded Patrick authority to bear is shown above the west door of the tower. The Church has a distinctly Dutch look to it and the east gable is topped with a lead finial depicting a crowned orange at the topmost. 1928 saw further alterations but principally internally with a replacement pulpit, organ and communion table. 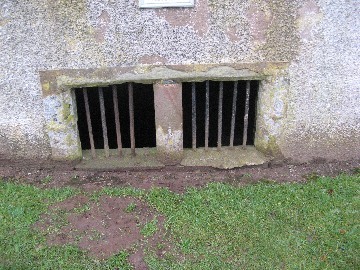 There are four coffins within the crypt which can be viewed through a grill on the east gable of the Church. These are of The Rt. Hon. Alexander Hume Campbell , Lord Clerk Register of Scotland who died in 1760, Ann Countess of Marchmont who died in 1747, Alexander, Lord Polwarth, Lord Home of Berwick who died in 1781 and Sir William Purves Hume Campbell of Marchmont who died 1833. 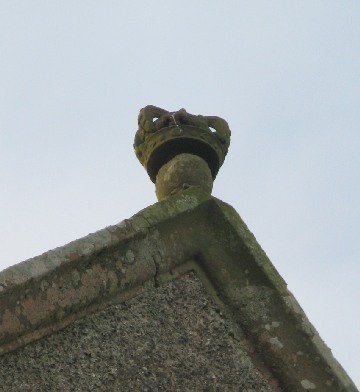 Features within the Church include a Norman burial font, the laird's loft and the funeral or 'deid' bell dating from 1715 - rung in front of the coffin to ward off evil spirits. There are also supposed Laudian alter rails but there is some doubt as to the claim and it is thought they may have been erected later for the rather prosaic purpose of preventing the Laird's dogs from fighting with the socially inferior dogs in the congregation. There is an open roof with whitewashed and hewen rafters. Also to be seen is the pulpit valance embroidered by Lady Grizell Baillie, daughter of the above Sir Patrick Hume who smuggled food to him during the period he hid in the crypt. The Church, an A listed building, is now redundant for worship (although still available for weddings) and is privately owned. The stones in the graveyard have been transcribed by Borders Family History Society and a transcript in book form of all 177 gravestones as well as a transcript of the hearth tax, a list of ministers, a militia list and of the Poll Tax of 1695 is available to purchase - price �5. As they gang to the Kirk at Polart. The gates are open an' just by the style. To their seats in the Kirk at Polart.